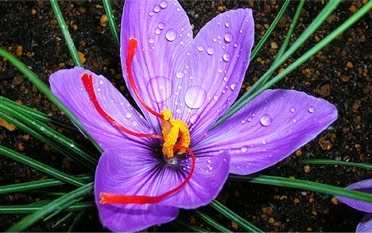 Saffron Crocus is an autumn-flowering perennial with large, lilac flowers with distinctive purple veins in October and November. Grows well in a gritty, poor to moderately fertile, well-drained soil. Prefers full sun. Plant the bulbs in August or September.